Magento 2 add product to cart with custom price is very necessary for developer when building Magento extensions or doing projects in magento 2 because some time you want to custom price for separate Products . In order to add product to cart with custom price, you should use extension to do that because you can enable ,disable , remove or use for other website. you can check more Magento 2 how to custom module to create new module . In order declare event , you will push code to app/code/Vendor/ModuleName/etc/evetns.xml , you can check more detail how to use event in this post. // Enable super mode on the product. Clear Cache and add product to cart , you will price will be changed . As you can see, We can create a lot of custom function in magneto , We are having a lot of great extensions like Booking System Pro, Online product designer… that use a lot of custom functions, you if have any ideas about custom separate products , you can contact with us. We can check and do the tasks for you. 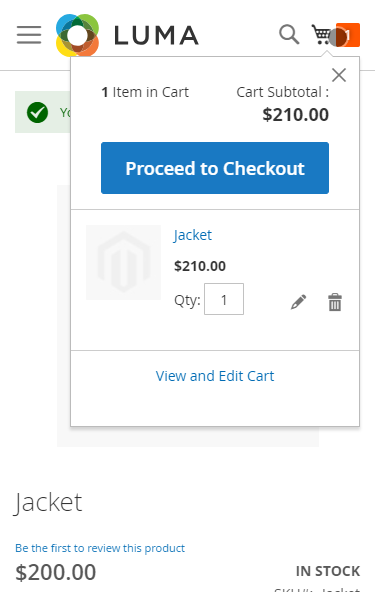 Previous Previous post: Magento 2 How to use plugin.